The street of Bailén, where El Anciano Rey de los Vinos is located, is one of the most important in Madrid, given its proximity to important monuments such as the Royal Palace, the Cathedral of La Almudena or the Campo del Moro. 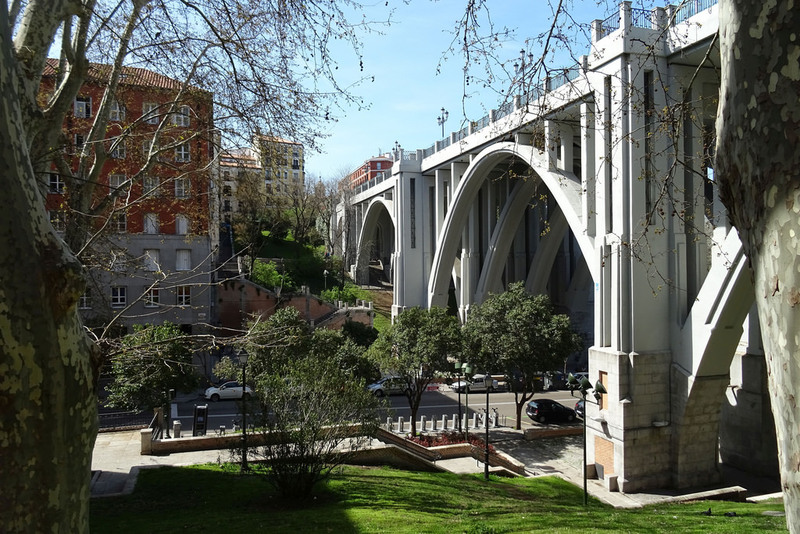 In addition, a very characteristic viaduct is located in it. In 1736 it was thought to unite the south zone of the Real Palace with the embankment that was in the Segovia street. However, at the time of constructing the viaduct, inconveniences appeared that ended up paralyzing the work. Years later the project was resumed but the layout was changed so that it would continue along Bailén Street. It was a very innovative work since it used iron and wood. Later the viaduct was destroyed and was rebuilt in 1934. But again because of the civil war it suffered serious damages that were not repaired until after the war. The first section that was built on the current street is located between the slope of San Vicente and the Plaza de la Marina Española. Although initially it was not called this way, the name of Bailén was finally chosen to commemorate the victory of the Spanish troops over the French ones in that locality. At the beginning of the street are the Sabatini Gardens. After the Royal Palace, and next to it, the Almudena Cathedral. Other renowned buildings that are located on Bailén Street are the Senate and the Grimaldi Palace. As a curiosity, there were two famous writers who lived in Bailén street or its surroundings. One of them, the romantic poet Mariano José de Larra. The other, the Mexican poet Amado Nervo, who wrote here his famous work “La bella inmóvil”. And of course, as a symbol of the authentic taverns of Madrid, on Calle Bailén is our beloved El Anciano Rey de los Vinos. You no longer have excuses for not coming to visit us.